What looks like garbage from one angle might be art from another. 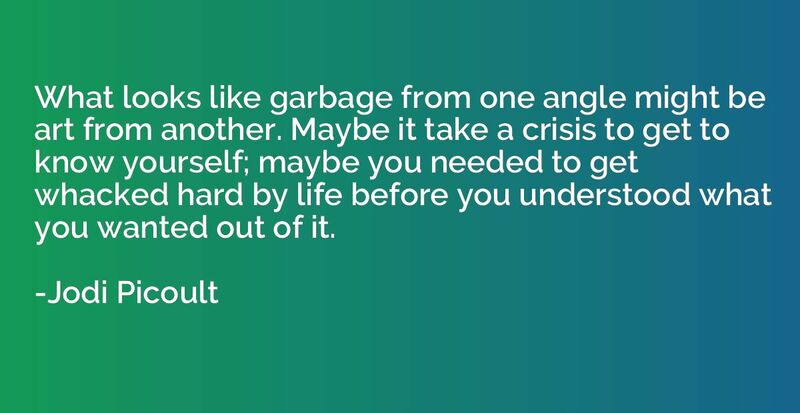 Maybe it take a crisis to get to know yourself; maybe you needed to get whacked hard by life before you understood what you wanted out of it. 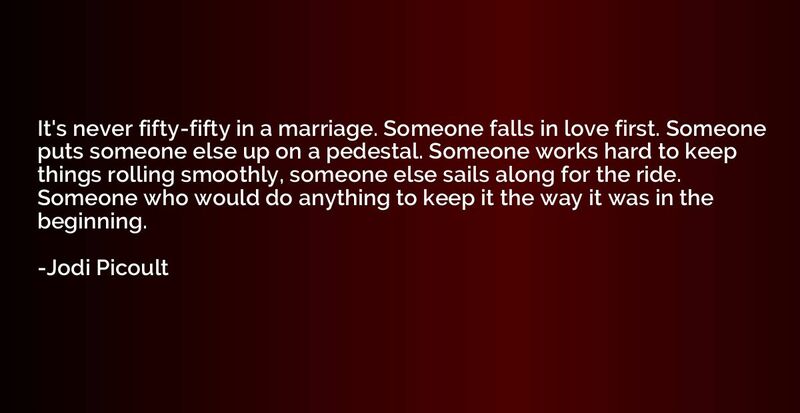 It's never fifty-fifty in a marriage. 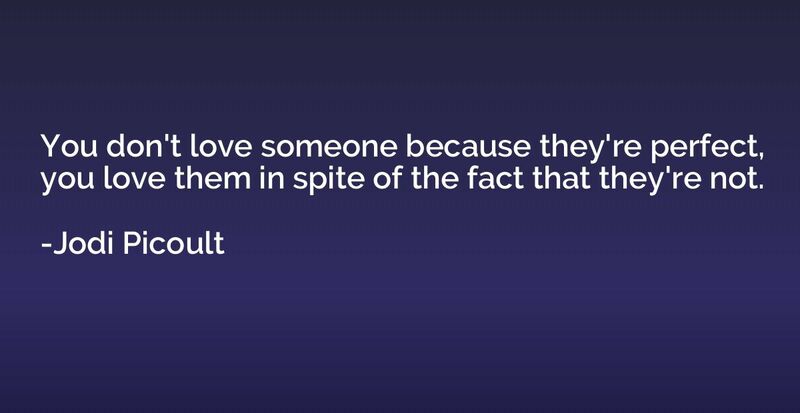 Someone falls in love first. Someone puts someone else up on a pedestal. Someone works hard to keep things rolling smoothly, someone else sails along for the ride. Someone who would do anything to keep it the way it was in the beginning. 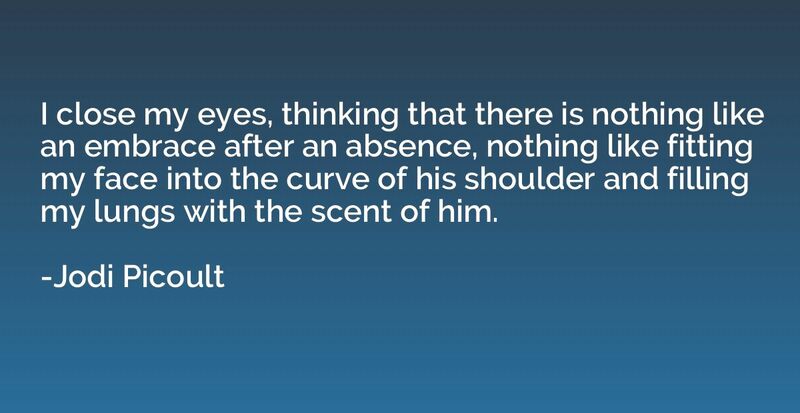 I close my eyes, thinking that there is nothing like an embrace after an absence, nothing like fitting my face into the curve of his shoulder and filling my lungs with the scent of him. 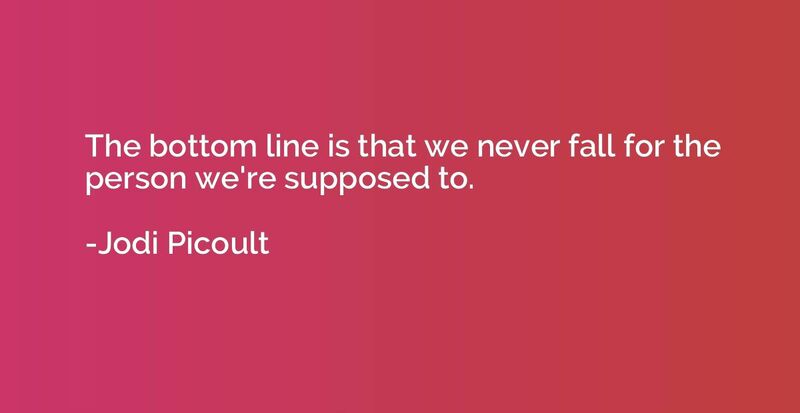 The bottom line is that we never fall for the person we're supposed to. 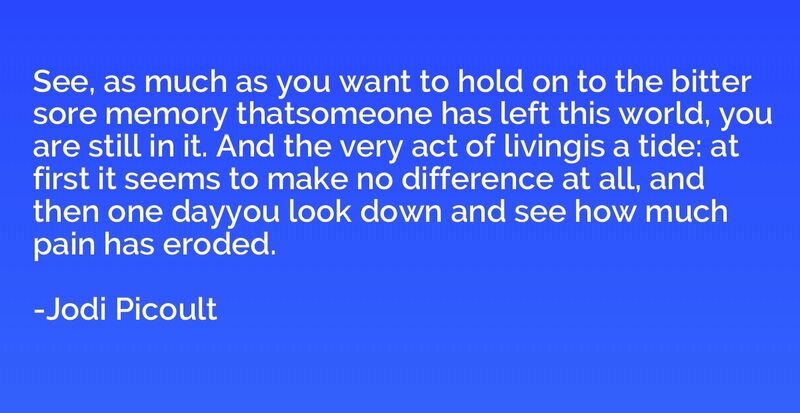 See, as much as you want to hold on to the bitter sore memory thatsomeone has left this world, you are still in it. And the very act of livingis a tide: at first it seems to make no difference at all, and then one dayyou look down and see how much pain has eroded. 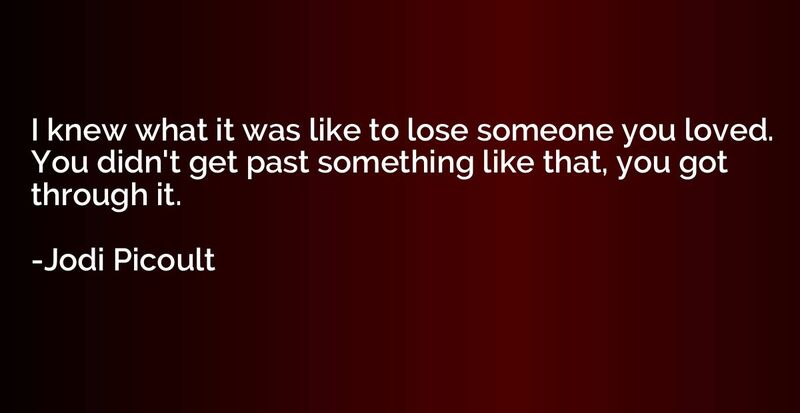 I knew what it was like to lose someone you loved. You didn't get past something like that, you got through it. The answer is that there is no good answer. 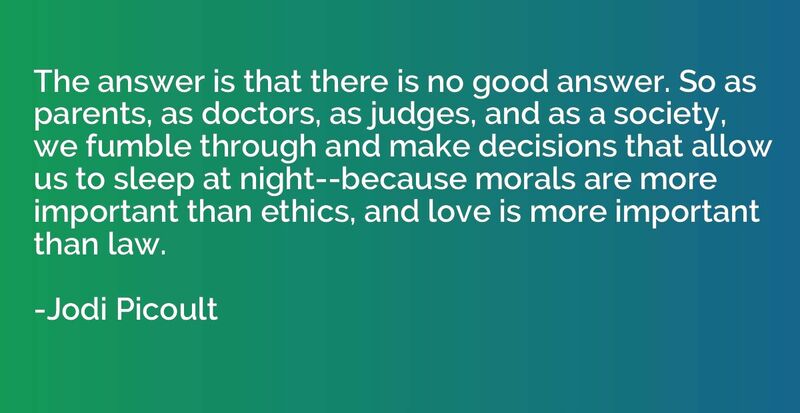 So as parents, as doctors, as judges, and as a society, we fumble through and make decisions that allow us to sleep at night--because morals are more important than ethics, and love is more important than law. 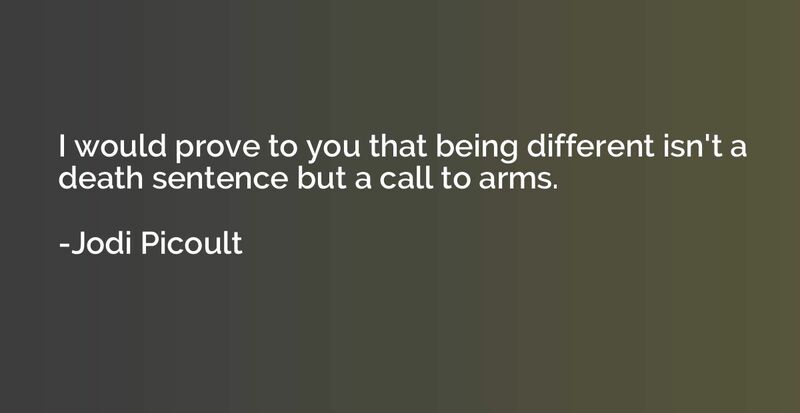 I would prove to you that being different isn't a death sentence but a call to arms. 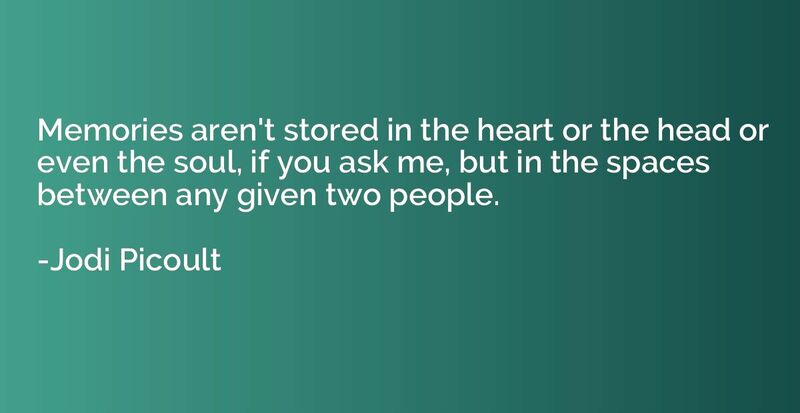 Memories aren't stored in the heart or the head or even the soul, if you ask me, but in the spaces between any given two people. 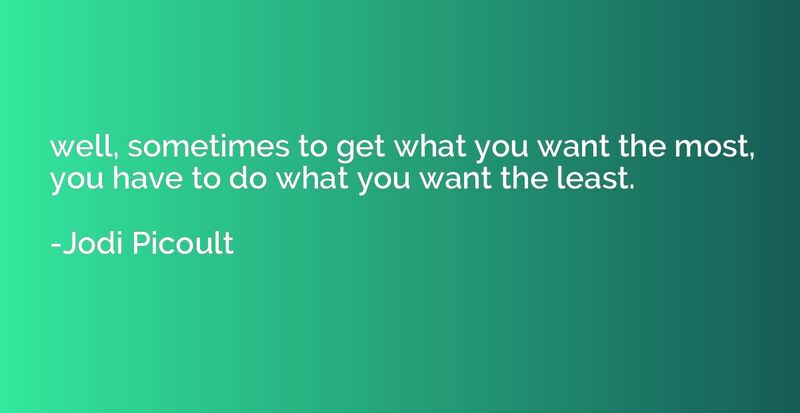 well, sometimes to get what you want the most, you have to do what you want the least. 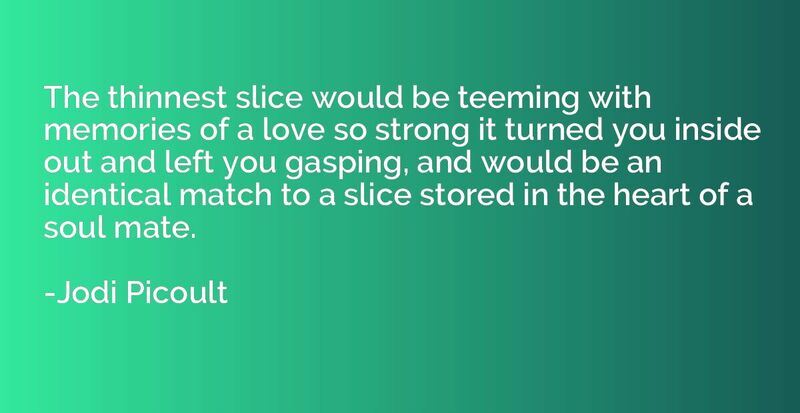 The thinnest slice would be teeming with memories of a love so strong it turned you inside out and left you gasping, and would be an identical match to a slice stored in the heart of a soul mate. 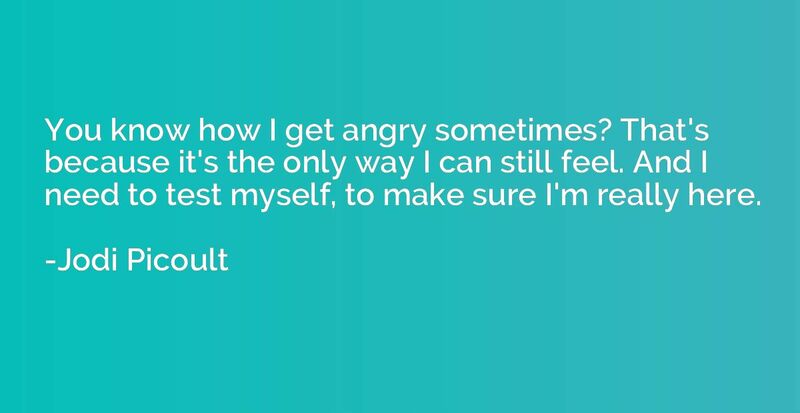 You know how I get angry sometimes? That's because it's the only way I can still feel. And I need to test myself, to make sure I'm really here. 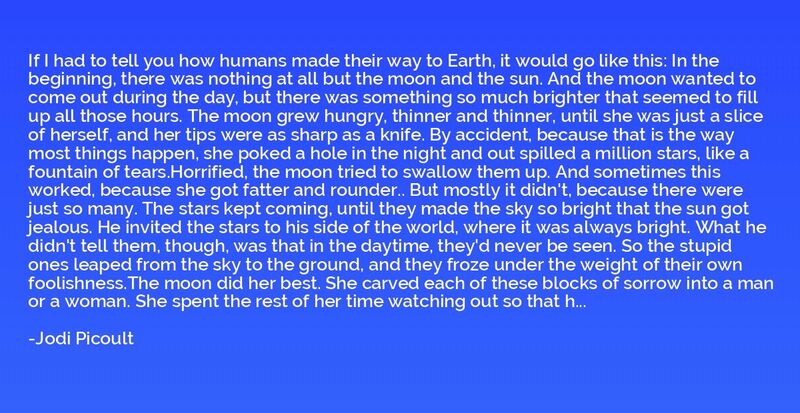 If I had to tell you how humans made their way to Earth, it would go like this: In the beginning, there was nothing at all but the moon and the sun. And the moon wanted to come out during the day, but there was something so much brighter that seemed to fill up all those hours. The moon grew hungry, thinner and thinner, until she was just a slice of herself, and her tips were as sharp as a knife. By accident, because that is the way most things happen, she poked a hole in the night and out spilled a million stars, like a fountain of tears.Horrified, the moon tried to swallow them up. And sometimes this worked, because she got fatter and rounder.. But mostly it didn't, because there were just so many. The stars kept coming, until they made the sky so bright that the sun got jealous. He invited the stars to his side of the world, where it was always bright. What he didn't tell them, though, was that in the daytime, they'd never be seen. 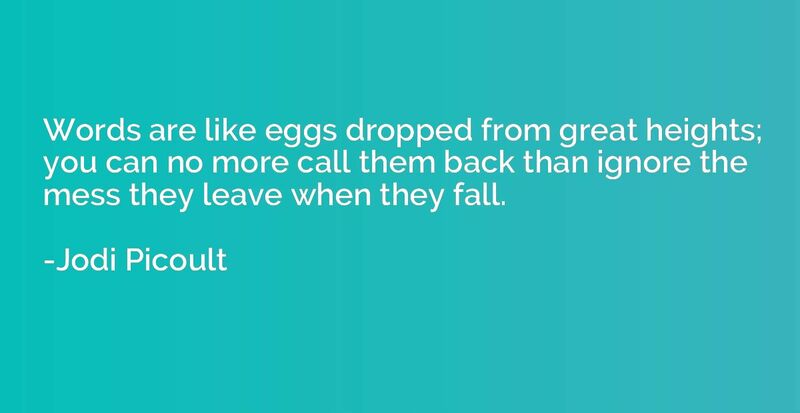 So the stupid ones leaped from the sky to the ground, and they froze under the weight of their own foolishness.The moon did her best. She carved each of these blocks of sorrow into a man or a woman. She spent the rest of her time watching out so that her other stars wouldn't fall. She spent the rest of her time holding onto whatever scraps she had left. 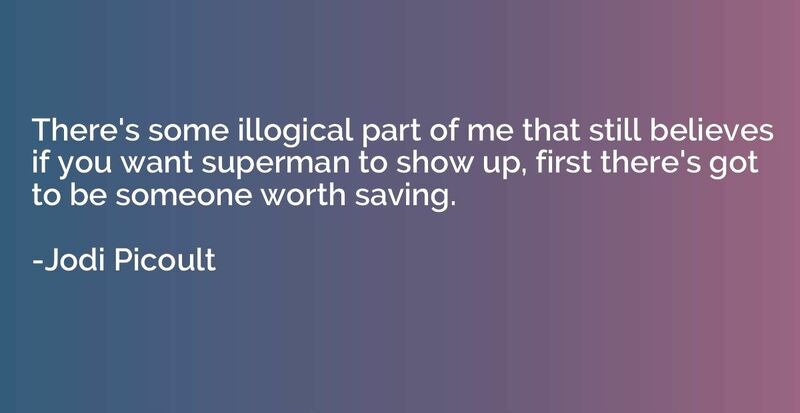 There's some illogical part of me that still believes if you want superman to show up, first there's got to be someone worth saving. 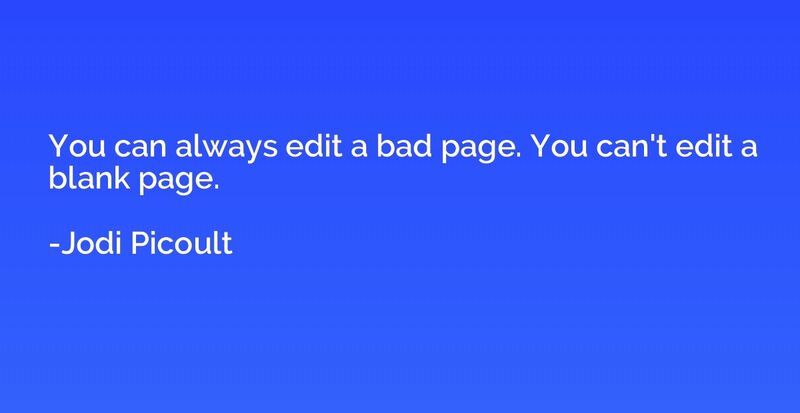 You can always edit a bad page. You can't edit a blank page. 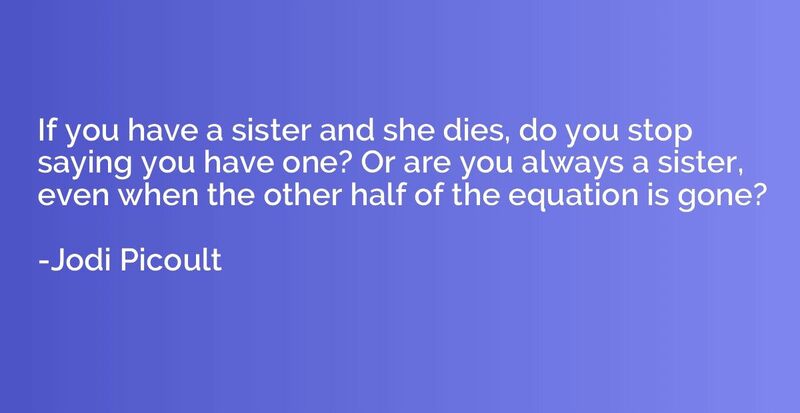 All any of us wanted, really, was to know that we counted. 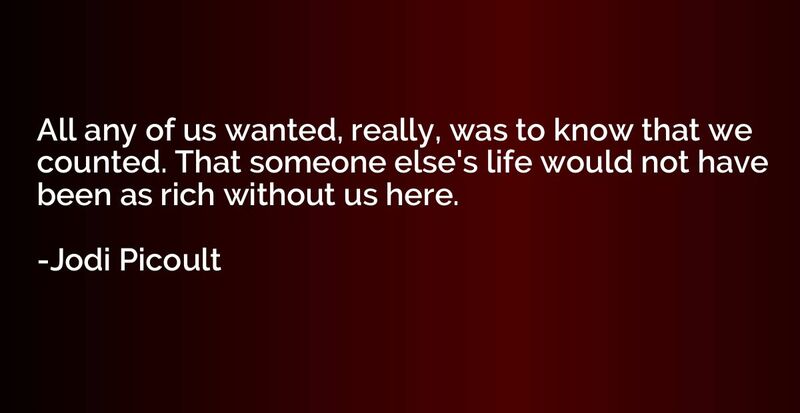 That someone else's life would not have been as rich without us here. What was the point of being able to forgive, when deep down, you both had to admit you'd never forget?